Turtles ruin everything, or at least the mutant ones with highly developed martial artist skills… especially teenaged ones! Seriously, what's their problem? A guy tries to commit a little bit of robbery, only to get thwomped by a flock of turtle brothers wielding really sharp weapons! Didn’t they learn they weren’t supposed to run around with sharp things!? They are the real criminals! But, now you can do something about your hatred of turtles instead of just stew about it in your room. You can become a mutant villain yourself and it doesn't even take a chance encounter with Shredder and Krang to do it. 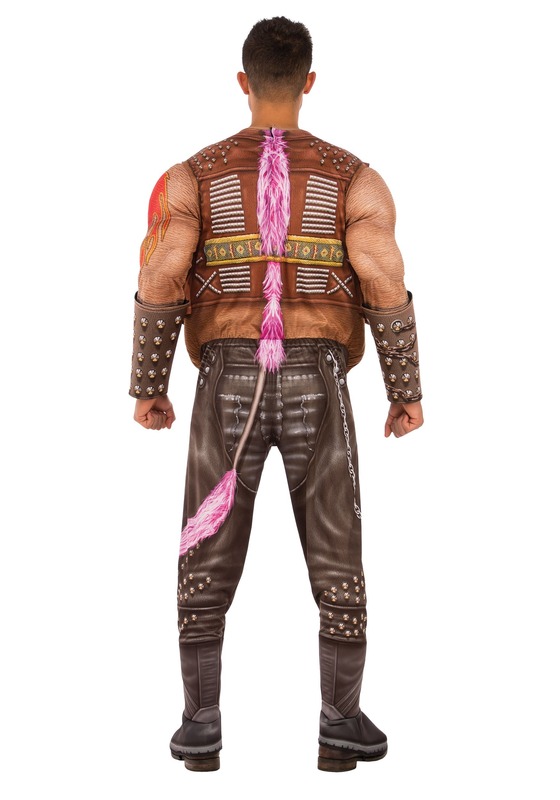 All you need is a little bit of attitude and a costume fully licensed from the latest TMNT movie. And we have several to help you fit in perfectly with the next legion of mutants out to end the turtle menace! Now you can become the mutant warthog thug that you've always dreamed of being! This TMNT 2 Adult Deluxe Bebop costume has the perfect outfit design to make you look and feel your baddest. The top features a stuffed muscle chest with printed details that look like the chest of a mutated warthog. An attached vest adds to the tough look, while printed tattoos really drive home the “bad guy” flavor. The bottoms also have printed details and feature boot covers ending in some punk-style boots to make you feel ready to go toe to toe with Leonardo. 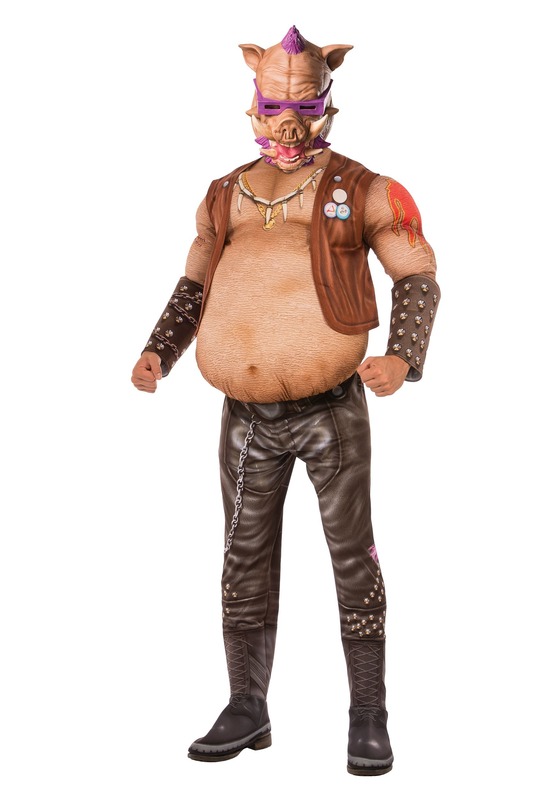 Of course, the costume just wouldn't be complete without a mask, so this costume ensemble comes with a molded mask that's shaped like Bebop's ugly mug. When combined, you might just feel like heading into the sewers to take the fight straight to the turtles! Just make sure to bring Rocksteady along with you!